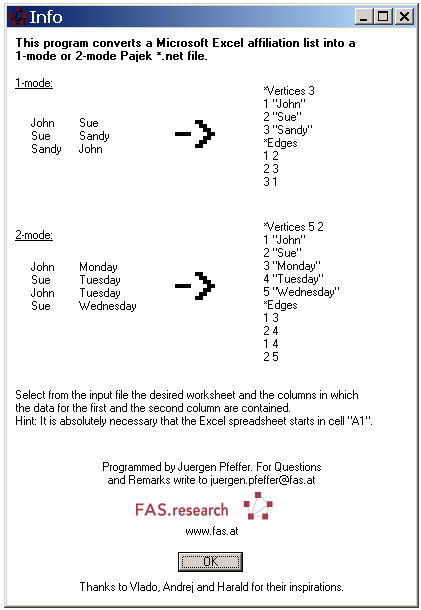 algorithms to convert Pajek files from an Excel dataset. therefore it's not necessary to add an explanation. reading of the data out of the Excel cells. The program is created in Delphi 7.